I’ve been having problems with my knees for many years. I get pain when I am in a seated position. I do a desk job which means I am in pain for much of the day. Sitting in a cinema, restaurant or car will cause me pain as well. I don’t have pain when I’m standing, walking, lying down or exercising. The pain is mostly in my right knee – coming from the area under the knee cap – but there is also some pain in my left knee. I first had physio on the NHS about 7 years ago and have since had multiple courses of private physiotherapy as well. If you have read my nhs vs private physio post you’ll know what the differences are with between NHS and private treatment. In total I’ve seen four different physiotherapists. My first physiotherapist diagnosed the problem as patellofemoral pain syndrome, and all the other physios I’ve seen have used the same name for the problem. Patellofemoral pain syndrome is not in fact a diagnosis at all. It is just a generic name that means ‘knee pain’. Pretty useless really! I know I have knee pain and giving it a fancy name does not help! What is important for your physio to do is to properly diagnose why you have pain in your knee. There is a very good guide to patellofemoral pain on the KNEEguru website which also contains detailed information on all kinds of knee related issues. Before having a course of physiotherapy it is worth reading about the basic anatomy of the knee and the leg. If you know some of the names of the bones, muscles, and how the knee joint works you’ll be better placed to understand what you physiotherapist tells you. In my case the physios have always believed that my knee cap (patella) is in the wrong position. 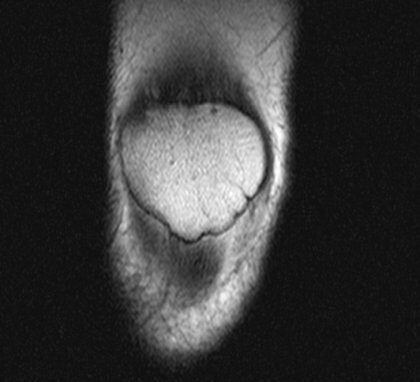 It is not centred in the patellar groove which causes more pressure to be put on one side than the other. The pain comes on when I sit down because in this position the knee cap is pulled into the side of the patellar groove which puts pressure on it. My treatment has consisted of four main part. In my case the outer muscles and connective tissues of my right leg are tight. This has the effect of pulling my knee cap away from the centre of the groove. By stretching these muscles the pull on the knee cap should slowly reduce. I was given exercises to strengthen the inner quad muscles of the leg. By strengthening these muscles the knee cap should be pulled towards its correct position. A painful type of massage was carried out on my outer thigh to try to stretch out the muscles and other connective tissues. This helps to reduce the pulling forces on the knee cap. The stretching and strengthening exercises slowly help to reposition the knee cap but a more direct re-positioning effect can be achieved by taping the knee. After assessing the position of my knee cap the physiotherapist showed me how to attach surgical tape over the knee to pull it into the correct position. For me the taping had an almost immediate effect on my knee pain. My knee pain went up and down over the years and I started new physio courses when my pain got worse. During my last course of physio my knee pain actually got worse which is when my physiotherapist recommended that I see an orthopaedic consultant. Upon visiting the consultant he asked me a few questing and quickly looked at my knee. He said that my knee cap did look like it was further off centre than it should be. He gave two recommendations. He could either have a look at what was going on inside my knee and possibly treat any problem by doing an arthroscopy. An arthroscopy is a keyhole surgery operation where a camera and light source is inserted into the knee through a very small incision. A liquid is pumped into the joint which helps to expand the joint so it easier to see and navigate around. Surgical tools can then be inserted through a second or third hole to probe or treat any problems. The second option was to send me to have an MRI scan done of my knee after which I might need an arthroscopy to treat any problems found. I picked the MRI scan as there wasn’t any disadvantage to having it done. It never hurts to have as much information as possible before considering surgery. I was told to remove anything metallic from my person and put it in a locker outside the MRI room. I was then taken in and made to lie down on the machine’s bed. I have one metal crown in my mouth but this was not a problem. The technician secured my leg into place and gave me some headphone to wear. She asked what kind of music I wanted to listed to. She suggested pop, and I was fine with that. I was given a button which I could press if I needed to contact her. She then left the room and a few minutes later I heard her voice through the headphones. She said that they were going to start the machine. They started the music as well. It sounded like an old compilation of really bad pop songs. The machine started up and rumbled into life. It was surprisingly noisy and seemed to vibrate intensely like a piece of industrial machinery. Even with the headphones on your can’t ignore the fact that this large machine is roaring around you! The machines roared for about a minute and then stopped. After about 30 seconds it started roaring again. After a few minutes of this the technician’s voice came back on the headphones. She told me that I wasn’t keeping my knee completely still. This was annoying as I was keeping it as still as I could. It is hard to remain completely still for so long. If I’d known how long it would take I would have asked for my leg to be more securely fastened in place. Previously I’d only had X-Rays taken of my body and anyone who has them taken knows that they are very fast – like taking a photo. An MRI scan is more like a very slow exposure. This is because many images are being taken at slices across whatever it is they are scanning. The machine could take 20 images slices through my leg. It can take the images in any direction as well. They took images from top to bottom, left to right, and along my leg. Each time the machine would rumble for about one minute and then stop for about 30 seconds before starting again. The whole process took about 20 minutes during which I had to endure music such as Cyndi Lauper’s Girls Just Wanna Have Fun. I was glad when it was all over! Afterwards they told me to wait outside whilst they put my images on a CD. The CD ended up having around 100 images on it from various angles. Some scans had been done several times – probably because I hadn’t managed to keep as still as they wanted me to. After I’d been given the CD I was free to go. I’d see the consultant again in a week for him to discuss the MRI images and recommendations. A week later I went back to see the consultant. He told me that internally the knee looked healthy. The bones and ligaments seemed in good condition. The only problems were that my knee cap was tilted as you can see from the below image, and that my knee cap was higher than it would usually be. He gave two options. Either I could try some further physio – now with the extra knowledge of how my knee cap was positioned – or he could perform lateral release surgery on my knee. The consultant told me that a lateral release of the patella was a very safe procedure. It would take 30-45 minutes, be done under general anaesthetic, and I’d be able to walk out of the hospital and go home a few hours later. I should be able to do exercise such as running after a month, I’d be able to do high impact exercise such as karate two months after the operation. He said that main risk was deep vein thrombosis but even that was extremely rare. This appointment lasted less than 15 minutes and this included the time where he was explaining the MRI scans. I told the consultant that I’d prefer the surgical option as I’d been having physio for so long. When I got home and thought about it more I felt that I didn’t really understand what it was the consultant wanted to do to me knee. This is probably not surprising given that I spent less than 15 minutes with him. I wanted to be able to do my own research to better understand the surgery. I did some research on Google into arthroscopy surgery and lateral release surgery. I phoned up the consultant to confirm the name of the procedure, and that it was the lateral retinaculum which was going to be cut. This at least allowed me to find specific information on the surgery. Lateral release surgery is an operation which is supposed to allow the knee to rest in the correct position by cutting through the tight lateral retinaculum. 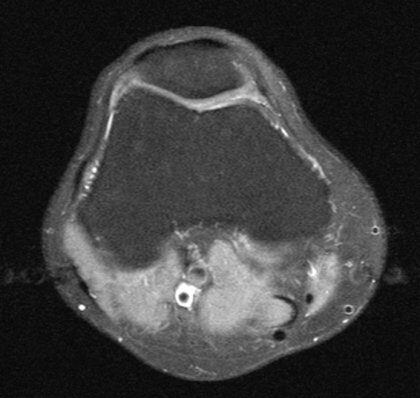 This lateral retinaculum is a type of tissue which hold the kneecap on the outer side of the leg. The procedure uses arthroscopy techniques rather than open knee surgery. There is a quick description of the surgery on about.com and there was a really excellent article on arthroscopy surgery on KNEEguru. You’ll still find lots of individual accounts of the surgery on KNEEguru and on Google by using the search boxes. Obviously the internet does not provide a balanced view of the success of surgery. People with bad experiences are much more likely to share than people who have had no problems. Still I was very alarmed by the large number of accounts of people who have said that lateral release surgery has made their knees worse. In some cases people have been saying that this surgery has left them with permanently reduced mobility or in agony. Some people say it has ruined their life. Strong words indeed. Other people talk about the long recovery times to get mobility back up to normal. There are of course people who say it has greatly benefited them and who had no complications. Even if the people who have had complications are just a minority it does show that the surgery can have real complications. I was worried that these complications hadn’t been properly explained to me by the consultant. An appointment lasting under 15 minutes is just not sufficient to explain the MRI results, the surgery and the risks. I got an explanation of the MRIs, a very brief description of the surgery and hardly any detail of the risks. I decided to cancel the surgery. Even if the risks are small I didn’t consider it worth risking my mobility for the sake of pain – which although can be quite painful – is something that I can live with. Especially now that I know the internals of my knee (bones, ligaments) are healthy I didn’t want to risk the health of my knee by having surgery. I was also put off by my previous experience of surgery where a simple lipoma/cyst removal surgery turned into 6 weeks of pain and inconvenience. Even if the surgery made my right knee better I’d still have some pain in my left knee. I decided to continue with the physio. Previously there has always been an element of guess work with the physio as the physiotherapists have always been diagnosing the problems from the outside of the knee without any knowledge of what is going on inside. 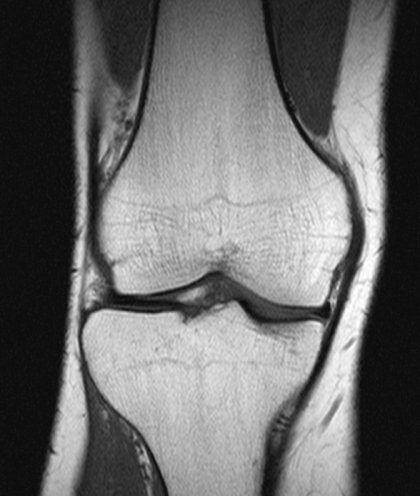 Now that I have the MRI scans of my knee, and can see more precisely what the problem is I hope that they physio can be better targeted at what the problem is. This entry was posted on Thursday, September 3rd, 2009 at 7:47 am and is filed under Life, Top Posts. You can follow any responses to this entry through the RSS 2.0 feed. You can leave a response, or trackback from your own site. After reading your blog, I’m really surprised that you didn’t have the surgery? I had the surgery last Friday, Sept. 4th. 2009 after having pain and swelling for years. I also had some Menical Tears that had to be repaired. I’m also surprised at the minimul pain I had and the speedy recovery I’ve made. I’m already exercising and sleeping through the night without any drugs. Of course I also need to give credit to my doctor who also did surgery on my husbands shoulder. I would also like you to know that I’m not a young person, I will be 61 and the end of Sept.
do not have a lateral relise op.. i had one in jan 09. and i still cant bend my knee, have constant pain hardly move up stairs,on pain killers all the time…. my muscle has worn away now thre lack of movement, a whole year of my life has been on hold. please if poss do physio before thinking of even having the op!! unless you want to spend a year in so much pain and no movement!!!! I had the surgery in September this year, and I am still not completely recovered. Before the surgery I had been in physical therapy for about 6 months, and after it I was also in therapy for 3 months. My muscles in my leg had been completely weakened, I really struggled to lift my own leg, the first month was terrible. I am completely mobile though, I can run and jump and lift my legs and what not, but where they cut open my knee is still bruised and has a hard giant welt or bump which is not present on my other leg. The bump causes me a lot of mild pain, and the surrounding areas are still numb, which I think is weird. My surgeon had told me that I was the slowest and most unmotivated patient he has ever had, which I don’t understand, I literally did everything I was supposed to but just really struggled. I would say the surgery was successful with realigning everything, but I do not recommend it to those with minor pain, it really only gets worse. Hi, I ran across your post by chance. My own experience is very similar to your own. Unlike you, I decided to go through with the lateral release surgery. I thought you might be interested in a brief synopsis of my experience. Me: early 30s, very athletic my entire life, no major trauma to lower extremities, but have experienced pain in left knee for 10+ years. I had surgery in 3/09. My orthopedist committed to do almost nothing before the procedure. He said there are many things they can see with the arthroscope that he can’t see any other way (such as how tight the lateral reticulum is and how it tracks). He ended up doing 3 things: lateral release, chondroplasty (smoothing the cartilage surface on the underside of the patella), and shaving down the medial plica (a band of tissue that was rubbing against my kneecap). My knee, post surgery, was incredibly swollen. I assume this is normal. He expected me to be off crutches within a few days. As I recall it was over a week, I think closer to 2 weeks before I was able to ditch them entirely. Anyway, for the first few weeks it was tough even walking around the house. After that things seemed to be improving. My ROM came back reasonable quickly. I did develop some hip problems (doc thinks tendinitis) in my opposite hip that took a month to resolve and slowed down my recovery. However, once that resolved I was back on track and did strengthening exercises and started increasing time on the bike, swimming pool, walking, etc. Around the 3 month mark my knee was feeling really well: pain was rapidly decreasing, my strength was increasing and I began to actually get complacent about the success. Somewhere around the 4 month mark things started going downhill. I’m not positive what set it off, but regardless, things were apparently not as good as I thought they were. I started doing some PT work again and re-focused my time on going to the gym to do leg strengthening, stretching, etc. Now I’m around the 10 month mark and I think knowing what I know now I would not do the procedure. My knee is not improved from where it was pre-surgery. I think in some respects it may actually be slightly worse. The main problem is that despite diligent work in the gym I have still been unable to regain the full VMO strength. Visually my right VMO is larger than my left. Symptoms are now similar to where I was pre-surgery. I think I may actually have slightly more persistent clicking when I move my leg into full extension and hold it. I also have some occasional clicking from my IT band. I had this several years back and was able to resolve it using the foam roller. I’m trying frequent foam rolling to resolve it again, but am currently still getting some IT band clicking. My orthopedist said that the lateral release was an unreliable procedure but that I shouldn’t be worse off than I was before. My analysis is that I may be slightly worse off than I was before, but it is difficult to say for sure. I had not expected the muscle recovery to be as difficult as it has been. So my conclusion is mixed. I knew when I went into it that it was a risk. The procedure has not seemed to help me even though I had a brief period where it was feeling great. In almost a year’s time I am not much better or worse than I was prior to the surgery, however I still have work to do to fully recover my VMO. Good luck with your knees. DO NOT HAVE A LATERAL RELEASE!!!! i had one jan 2008 and i’m still on crutches, i broke my patella and needed to have it to help the kneecap sit correctly, i got blood clots, the stitch’s broke and i bled over a pint of blood into the joint, have been on loads and loads of painkillers since having it done, it just made the maltracking worse, i wish i could turn back time!!! do not have teh surgey i had mine 3 years ago and have never been any better worse off more probably. i still use crutches for any distance of walking and knee still hurts – 2 years ago i wsa told i need a knee replacement and havent gone back since. i had 3 ops in 3 years and im only 36 now and crippled i wish i knew more about this op before haing it done. I have read all your blogs and am very interested to know if any of you have ever tried Kinesiotape or doing ASTYM at your physical therapy clinic. Both have been found to have positive results? Good luck! I have used taping in the past with good results, but the effects always wear off after a few months. I have had deep tissue massage done as well which I found to be better than taping. In my case the deep tissue massage was done with hands rather than with instruments as would be done with ASTYM. Thanks for your comment to my post. I’m curious as to how bad your knee problem was in order for you to be referred to have this surgery? I get the impression that doctors are referring people for this potentially dangerous surgery far too freely. If you have time (and want to share) please feel free to add further comments to the post about your progress and how the MUA went. Good luck with your surgery and with the negligence case. Thanks for your email, more than happy to discuss my progress and case. I am still slightly baffled by the condition of my knees and how I managed to function for so long (37 years!!) without any indication of the problem. I have had no problems at all with either knee despite years of ballet (it was my career for a while) horse riding, surfing, snowboarding and marathon running until one day last May where I woke up with a feeling of my both my knee’s being out of place, irritating but certainly not painful, it just felt as though I needed to click them back in place. I carried on the day as normal and went to work in my restaurant, as I bent down to get something out of the fridge I felt the most excruciating pain in my left knee. It was so painful I was unable to drive home or even take my trousers off to have a look!! As I had dislocated my shoulder years before I instantly recognised the same pain/sensation in my knee. The next day was no better and I was struggling to walk so I went to my local A and E. The doctor disregarded what I thought was wrong, refused to XRay and diagnosed a torn cartilage, he bandaged me from thigh to ankle in crepe and wool (it looked and felt like a full leg cast) gave me some crutches and refered me to physio for a week later. The physio immediately referred me to the orthopaedic department who suggested an 8 week course of physio before seeing them again. Neither the physio or orthopaedic consultant questioned the original diagnoses yet the physio was baffled by my symptoms not matching. During those 8 weeks my other knee began to sublux, crunch and grind until it too dislocated. At this point I was given the option of either an arthroscopy or an MRI, as the MRI was less invasive I obviously chose this option however it took a further 10 weeks before I got it. All this time the physio was still treating suspected torn cartilages and I was still on crutches. The surgeon recommended a lateral release in my right knee and if it was successful they would perform the op on my left leg. He gave me a 70% success rate. He gave me no information on the actual procedure, only to say that it was performed in day surgery and that I would be able to return to work between 2 to 4 weeks. As he had given me no info I had to rely on my physio and the internet to find out more about the procedure. Both scared me witless but as I could find no other alternative or information on my condition and I was still on crutches I felt I had to put my trust in my surgeon’s judgement. I was given an information sheet about the procedure at my pre admin meeting the week before the op but they had given me information about a different op and not a lateral release! On the morning of my op I was seen by a physio who again started describing a different op, I was extremely concerned by this point and asked her to check my notes, she apologised for her error and told me that she didnt have time to discuss my procedure but that I wouldn’t be allowed home without seeing another physio after my op. The registrar then came in and wrote in marker pen “lateral release” on my right knee in huge letters……thank goodness for that!! A few hours after the op I was told they had put a blocker in my thigh which was not previously explained, this had caused me to panic as I could not feel anything from my groin to my toe’s! However the surgeon reassured me that everything had gone well. I was given the all clear to go home if I wanted about 6 hours after the op, however as the pain was so great they recommended that I was put on a morphine drip and stay in, the choice was mine. At this point I asked the ward nurse when the physio would be around to see me, to be told that the physio had gone home and that she didn’t feel it was necessary to see me!! As I was still lying in blood soaked blankets I decided that I would be far better off at home and left. The next few weeks I can only describe as horrific, I was not warned about how painful it is or how little movement I would have. I could only stay in one position for 10 minutes max and to move to another position took another 10 minutes. The only way to sleep was flat on my back and I woke nearly every hour with the pain. I could’nt get in or out of the shower or bath for weeks and had to manually move my leg with my arms to get dressed or in bed etc. When I finally got referred to a physio (after my own insistance) 4 weeks later the damage had already been done in regards to leg functionand scar tissue, however there is a significant improvement but not enough to avoid the MUA. At this stage I still don’t know if the op was a success or appropriate for someone with my condition. I really wish the surgeon had given me more information or at least different options. To me it seems he treated a problem, ie the knee, and not the patient, the NHS really does not treat holistically or give the time for patients to ask questions, I would rather be given a best/worse case scenario so that I could make an informed decision and I certainly should have been told what the after care was going to be. I have my final meeting with the surgeon next week before my MUA. I certainly will be going in there with my list of questions and this time I’m not going to be bullyed into leaving until I have all the information!!! I just thought I will post this can I ask tess whittaker what a MUA is?? I have a lateral release surgery on the 10th March 2010 I am 20 years old been in pain for 10 years seen 4 different physios the last said I need to see an surgeon…I WAS very sporty (nearly went pro playing football (am a female)). My surgeon as well as 2 others have suggested this lateral release at an only 30% chance of reducing my pain, because I have seen 2 other surgeons who stated the same thing I am going to go for it as the pain I am in is terrible…I have been told this is the only treatment that can help me and there isnt any other surgery that can help…. So, basically I have went for it but I agree that surgeons seem to not talk much about surgery…. Sorry for the abbreviation. I feel as though I’ve entered into a whole new world of doctor terminology!! Basically a MUA stands for manipulation under anaesthetic, it’s a non evasive procedure (no cuts or stitches) where they physically manipulate the knee through it’s full range of movement whilst the patient is asleep (far too painful otherwise!!). Due to a large formation of scar tissue around the knee it is now impossible for me to fully bend my knee or to have any quad function so the manipulation is necessary to “tear” the scar tissue apart. As yet I have been given limited info on the procedure (I see my surgeon in a few days and hope he can spare me more time on this appointment!!) My physio has said that it is painful but gives good results and I’m at a stage now where I don’t care what the pain is like in recovery as long as I get a good result!! Good luck with your surgery, have you been given any pre op exercises from your physio?? I think the actual surgery plays a small part in fixing the problem, the aftercare is crucial as you will need to retrain your muscles in a very different way to what you have been accustomed to. Be sure to know the time lines for the after care!!! Remember my procedure only went wrong due to the lack of aftercare (physio) that I recieved so please don’t let my story put you off but if you want more info please don’t hesitate to email me on [t4_tess at yahoo.co.uk] and I’ll be more than happy to help. Im 28 years old and i had lateral release on 3 mar 2010 (nearly a week ago) when i first started to see a consultant regarding pains in my right knee about 3 years ago, i was sent for nhs physio they were convinced that my pain was caused by lower back problems so they started giving me exercises for my back, after 6 months it was becoming apparent that it was not solving the pains in my knee if anything it felt worse (it wasnt doing much for my back either). During this time i was back and forth to see my consultant to check on my progress as always there was no change. It was then decided that i should have an MRI scan to find out what was going on. After a few weeks i got an appointment to have keyhole surgery, i went for my pre op and was told that basically all that would happen is that i would have 3 or 4 small holes in my knee to fit a camera through and then the surgeon would tidy up my cartlidge and and flush out my knee, to me that sounded simple enough. On the day of my surgery the surgeon came to talk me through the procedure and only then did he tell me that nothing came up on my MRI scan and that is was unlikely that they would find anything doing the keyhole surgery and said that if this was so then they would have to do a lateral release, it wasnt really explained but i was told that it would cause more pain, swelling and bruising all down my leg from my thigh downwards, considering i wasnt told about this procedure until the day and i had been waiting 10 years for something to be done i decided that i should go ahead with it. Now it has been 5 days since my surgery and i have a thick bandage from just above my knee down to my ankle, i have had no pain just stinging now and again but totally bearable, as far as i can see i dont have any bruising, as far as swelling goes i cant tell as there is a lot of bandaging. im not taking any painkillers although they were prescribed when i left hospital. Although i can’t bend my knee i can still just about walk with out the aid of my crutches (only around the house) im resting quite a lot and getting very bored but so far all is well. hopefully i will feel a difference when i am fully healed. Ten yrs ago i was diagnosed with Chondromalacia Patella in both knees. The NHS confirmed this diagnosis approx 5 years ago after an MRI scan. After 4 unsuccesful attempts at physio over a period of 6 years , i requested to see a specialist on the NHS. The specialist reffered me to his assistant for examination, who advised i had cartilage damage and there was no medical procedure that would help me. I was told i could never run again or do high impact sports, and i would have to get used to a new way of life on medication to control the pain and swelling. I tried numerous medication which either didnt work or i had a bad illergic reaction after 2 weeks into the course (NSAID’s). So i continued to live with the pain for another 3 years. This winter the pain became too much so i requested a referal to see a knee specialist privately. I didnt expect to actually acheive anything but i thought it wouldnt hurt getting another opinion. After examination the specialist advised my knee cap tracking was the problem as it was pulled to the outside of the knee when bended, which he showed me. 1 week later i was in surgery for arthroscopy and lateral release to my right knee (25th Feb) through private healthcare. The surgery went well, although i didnt take to well to the anesthetic so i had to stay in hospital a til the evening until i could keep food down. Other than that i was fine other than stiffness in my knee. I left the hospital with crutches. On discharge i was given a physio appointment for 4 days time and some excercises to start the next day, and told to rest as much as possible. 2 weeks after surgery i have attended 3 physio appointments i can bend my leg considerably well although the swelling causes me a few problems at the min but this should go down by 6-8 weeks. I only use one crutch when i need to go out and about as my knee becomes stiff if i dont rest it enough and ice it. I have had a very small amount of brusing on my knee, my bruise on my hand for the anesthetic needle was bigger. I only used medication for the pain for 5 days after the op (tramadol and parecetamol) and other than a bit of aching its managable. I had my stitches out yesterday and the surgeon showed me the before and after images of inside my knee. before images showed perfect ligament, cartilage and bone…only problem area was where the knee cap tracked incorrectly and the bone had fragmented. This was filed down to give a smooth surface b4 the lateral release. After images showed significant improvement. I will see the surgeon again on April 1st to review, and hopefully get booked in for my left knee 3 weeks after that. All in all i can say so far the op was extremely sucessful and you must put in the effort after the op to get the disired result – u dont get something for nothing , please commit to your physio excercises after the op, and ensure u are seen by a physio therapist soon after the op. Take care all, and good luck!!! i had a lateral release 2 years ago. i’m 27 and now i can’t run. it was an absolute disaster. i would really urge any potential candidate to work at physiotherapy and not pursue a surgical option. for phyio to work, however, it needs a good understanding and lots of hard work in the gym or at home stretching and strengthening. I had this surgery on 4 mar and have had little if any problems at all! One thing I noticed I did experience that many did not mention is that I began intensive physical therapy the day after surgery and have it for 3x a week for 4-8 weeks. I feel this should make a lot of difference but time will tell! I was back at work within 1 1/2 weeks (desk job) and up and around quite a bit right away. hi i dislocated my kneecap and was going to physical therapy, however it didnt help i got xrays and an mri but all it showed was subloxation of the knee. i eventually had surgery and i had a torn meniscus that the mri didnt pick up. my doctor also did a lateral release and that was the worst thing for my knee. after the surgery my knee had a snapping in it when i walked and went down the stairs it was horrible and painful. i did more physical therapy but to no avail. i just had another surgery yesterday and the pain is horrible. i asked my doctor what he did and he said he cut a band of tissues in my knee?? ?wtf i dont think he even knows what he did. its been a messed up experience for me. i think doctors do this procedure for no reason. i hope i make a 100% recovery, because this hinders you from doing alot of things. i am not a happy camper. if your doctor suggest a lateral release please get a second opinion before letting him do it. dont be like me. ive been out of work for 7 months and who knows how long this second surgey is going to take. I’m very tempted to refuse surgery again ad if I was given the right care I wouldn’t be in this situation.. My first op I had done privately, this time I’m seeing NHS surgeons due to wait on private being longer. Glad it’s not just me who seems to gave persistent problems.. Does anyone know of other forms to release muscle and sit knee back in to place? What did your physios try? Did they do the 4 things that I list in the main post to try to alter the position of the knee cap? Yeah they done all 4 things after months of 2 hour physio sessions each week followed by accupuncture they then decided to operate, it seems worse now than what it did previous. Can’t believe so many others have had same problem. I read your article about your case with very interest and was pleased with its description. As orthopaedic osteopath here in Finland I can only add that, Yes it is a good rule to go to surgery as a last resort and having investigated in depth the case. I would also suggest to eventually visit an osteopath or other practitioner able to release an adherent lateral retinaculum. Also a postural and walking checking-up would help to prevent further the situation. Physiotherapy or anyway well executed exercises are always a good healing and fitness procedure. Best wishes. Are the MRIs on this page YOUR ACTUAL KNEE? Hi Tim – yes they are! I was given a CD with all the images on it after I had the scan done. With the CD I can move through my leg one slice at a time in three directions. Very cool. I have the same problem and was woundering what excersises they gave you to help and if so did they cure the problem. Hi Terry, I still have some knee pain, but it is now under control. I’m very lazy with my exercises and stretches and only seem to be motivated to do them when my knee hurts! Through all my physio sessions I was given loads of different exercises and stretches to try but there are the ones that worked for my particular problem. These helped with my particular problem, and I was shown how to do them correctly by a physio. Definitely best to get a physio’s advice first before starting new exercises/stretches. I find stretching in general is good for keeping joint pain away. Maybe give something like yoga a go? Hi Helen, when I was researching lateral release surgery I did see plenty of positive accounts along with the negative ones. Don’t forget that people who have negative experiences are likely to be much more vocal in their opinions than the ones who had positive experiences. However as with any surgery, it is good to be informed of the potential risks of the surgery. My orthopaedic consultant made it sound like a completely risk free procedure. Good luck with your treatment, and do post another comment to update us on your progress. Would be good to have more positive accounts on here! Hi, I had a lateral patella release when I was 15, I am now nearly 29 and I have had no problems at all with my knee since. The recovery took a few months in total but I am so glad that I had it done. All the problems I had before the surgery completely went away! I had a lateral release of the patella this May, and I was back to riding horses 3 to 4 times a week come August 1st… After the surgery I took no pain killers and was walking in about 3 days, but I still had a straight knee brace on. The only reason I couldn’t walk sooner was due to the fact that I had got a nerve block. I did have some swelling but the doctor said it was very normal, and I had great rang o motion the week after. I started physical therapy a week after the surgery and went 2 times a week until the last week in July. I would recommend this surgery to anyone who has knee problems and this could be the answer to you suffering. I have been suffering with knee problems for 18 years which started whilst i was in the Army. I’ve had 3 operations (keyhole) to sort out/remove cartlidge and been to physio on God knows how many ocassions. The last time i went (11 months ago after my last op) they said that after 18 years of problems, physio would not help. I’m due back to see the specialist in a few weeks and my knee is getting worse, not better. The last time i saw him he mentioned lateral release so i will see what he says now. The pain and lack of mobility I suffer is ridiculous for a 39 year old so I’m willing to try anything. Its funny as today I’ve been to see one of the lads i was in the army with as he’s just come home from a partial knee replacement. He had the same symptoms and same amount of ops as me but as he is 50 they would do the op for him but I’m too young. Let’s hope for a miracle! I’m another one intrigued to read everyone elses horror stories. I’m a 41 yr old female ex police officer and had my first knee op at only 23 a medial repair, after then I had 6 further ops on both knees, arthroscopys to clear out debria etc. I had my first lateral release in Oct 09 with a private surgeon,this was due to alot of knee pain at the front of my knee and it giving way. It seemed to work and went to all the physio appointments etc,however within 8-9 months I was experiencing pain again in the front lower part of my knee. After seeing one private surgeon who told me to lose weight (5ft 9 weighing 11 stone!!!) and to buy a knee support and to keep applying anti inflammatory gel, i decided to get a second opinion so went back to my orginal surgeon. I hav=d been told by a physion that a second lateral release is very unusual so was not expecting him to do this, however after coming out of surgery in August 11 I found he’d done another. I have to say my paid is now worse tahn before the op and this is now four months on. I can hardly walk up and down stairs, I cannot walk for more than half a mile without being in extreme pain . I now on tramadol as the GP willnot give me any stronger so have to combine these with paracetamol and ibuprofen at the same time. I am now waiting for another MRI as my surgeon does not know why I am in still so much paid and unable to fully weight bear on this leg. If only we had hindsight what a wonderful gift that would be!! Hi I just had lateral release done today. I am 51 and was born with knee tracking problems. I had a procedure done back in the 70’s that is considered barbaric now and that one I have had eight arthroscopies and now due for knee replacement…its trashed. So the right knee was virgin but the tracking got much worse. My surgeon was straight up and said may help may not help. I have been so immobile due to these knee issues I had to do something!! I’m 43 now and have played basketball almost weekly since I was about 15 until I was 39; never had any knee problems. I was taking a brisk walk up a very steep hill and felt something move and “click” but never any pain. The following weekend while playing ball I was simply running down the court, had no contact with anyone but my knee collapsed and I fell down. MRI showed deep bone bruise and it hurt like hell. After 3 months it kept collapsing and I could not even get up and down stairs. First Dr. did athroscope, shaved down meniscus and removed some bone chips but did not find anything more. The surgery did absolutely nothing and my kneed continued to get worse. I went through rehab and get several corizone shots but nothing helped. Finally went to get 2nd opinion and x-ray showed spot where I had deep bone bruise had chunk of articular cartilige the size of a dime missing. 2nd arthroscope found dead bone in the spot and my patellas was tracking quite laterally, such that in would engage the dead spot and hurt like hell. The area was cleaned up, microfracture was done to restore blood supply and then had lateral release. Post op notes stated the knee cap was tracking so bad, it was the reason all the articular cartilidge was knocked off. I vowed never to play any sports like this again and found after six months knee felt better. Before the surgery, I could not get up a flight of stairs without extreme pain and knee collapsing. Started walking, then jogging 9 holes of golf after work and for almost three years it got stronger and stronger. Five weeks ago I did something foolish. I returned to my old church gym on Saturday morning to play ball again, even though I promised my wife I would not. My knee felt outstanding and I played seven pain free games; something I never thought to be possible again. Feeling good but concerned, I returned to my later that week and he took x-ray again. The area where microfracture was performed was completely filled back in and because of lateral release, the patellas was not rubbing that area and back in the track where it was supposed to be. This would have never been possible without the lateral release. I’ve played ball 5 weeks straight and never felt better. Every case is unique, but I can tell you it was very successful and gave me back something I thought I had lost forever. I had a lateral release of my left knee and it was the best thing I ever did. I was 40 at the time and since then I’ve done 12 triathlons including an Ironman and several running races. I was never a runner either. I regret waiting 5 years to get the surgery after all the bad stuff I read on the web. I did exactly what the doctor ordered before and after surgey. I had a lateral release 2 years ago which has crippled me and I am bed ridden. Pre op injury was a kneecap dislocation during sports which I lived with for 5 yrs. Went to many doctors and got many different opinions. I saw a surgeon twice and we agreed to clean up the knee. When I awoke from surgery I had learned that a lateral release was performed. I didnt think much of it at the time and that the surgeon knew what he was doing. After a few months I knew things had gone terribly wrong as it felt like my kneecap would dislocate medially. I had and have extreme pain throughout the leg and foot. I am 30 yrs old and this has ruined my life. I dont know what I am going to do now. I am on heavy painkillers and bed ridden. This was the worst mistake of my life to trust a surgeon and I went from a great, happy, active life to no life, bed ridden, 4 walls, a computer, and high powered painkillers which are quite ineffective. All of these stories are fascinating. I have been offered a potential lateral release. However the NHS Registrar has said the surgical option should be the very last one as he made it clear the procedure didn’t always have a favorable outcome. I am mid 30’s, was very active cycling every day to work until I had a problem with my right knee due to badly fitting SPD pedals! The way my situation has been handled by the NHS is very bad, they clearly do not give much consideration for the young when it comes to knees. 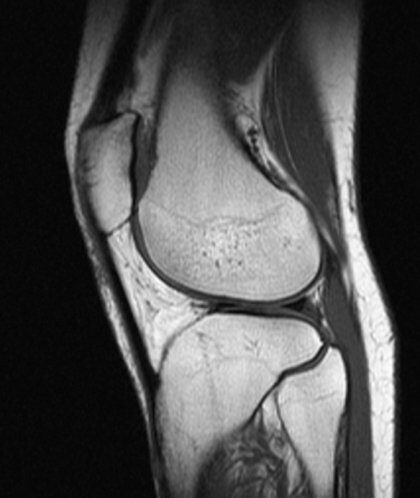 I still haven’t had an MRI, only an XRAY, so I am not sure what really ever happened with the knee. I am keen to work on physio for the next 6 months before returning to the specialist. I no nobody has wrote on here for a while but I feel I need to make people aware that its not always doom and gloom. I’m currently 33 and female. When I was 10 years old I started to have problems with both my knees, like unexplained poker hot needle point stabbing pains. Knees giving way and locking knee caps. For 4 years my doctor said it was just growing pains. I was, and still am very active, I used to swim for the county, dance for the county and play basketball for the county, as well as all school sports events and skiing as well. One day during my swimming training my coach pulled me to a side as I could no longer do breaststroke without crying in pain. The coach wrote letter to say this is more than growing pains. From that day on I have never been able to do breaststroke as it makes it worse due to the force that goes through your knees whilst kicking outwards. When I was 14 I was sent on a 6 month course of physio which made things a lot worse due to adductor muscles not working properly. After that I went to the orthopedic consultant who gave me more exercises which once again didn’t work. In July 1998 i had the lateral release and fluid drained from the knee cap. I was supposed to have both knees done but only got the right knee done as didn’t have time to have the other one as I was a 16 year old teenager. The operation was a huge success but I have to admit recovery was hard. From 1999 – 2001 things were fine with my right knee until 2002 when it started to hurt again. I was referred straight back to out patients at the hospital. They did sports physio and tapped both knees for 6 months. For 12 years I was pain free in my right knee and my left knee was ok as I was able to deal with the pain and just got on with life. I do extreme kite flying with power kites, hiking up mountains, walk at least 4 miles a day and bike ridding on a Saturday morning. By April 2015 my knees were as bad or maybe even worse than when I was 14. I have been informed by my consultant that every 15-20 years I will have to under go the procedure again as your body can revert back to how it was before the operation. I’m currently waiting to see the surgeon to have the operation again. I know people will find this hard to believe but i cant wait to have the operation so my life can go back to normal for a good healthy few years. I hope this will make people understand that yes the immediate recovery is very quick but your body my relapse within 5 year period but that is normal. Once that has passed you will hopefully be pain free maybe forever if your really lucky. Physio is not always your friend as it can actually do more damage than good as the orthopedic consultant has informed me. Hi there, all these negative comments are pretty much 100% true! I myself, wouldnt have had knee surgery if I would’ve known how much pain id be in after. I’m a 24 y/o male, who has had knee problems for the last 8-9 years. It started with just mild pains after long days, and then slowly grew into a lot of pain every day/night…most of the time it would keep me up at night. I started to get painkillers from my Dr after about 4 years of pain and agony, along with the multiple xrays & mri’s ive had done, along with some other test. Over the last 8 years, I seen 6 different Dr regarding my knees, and none of them were able to provide me with any help or a way to fix my knees. One DR told me, and I quote, “I wouldnt stick a needle behind my knee, so I’m not going to stick one behind yours”. The 2nd last Dr I had, gave me a cortisone shot in each knee, which did help…but only for about a month tops. **The last DR I had, looked over all my previous tests etc, and then a physical knee exam, and he came to conclusion my left kneecap was pulled out too far. He then recommended I get a lateral release done, and while he was in there he would check everything else out. On Feb 4th of 2015, He ended up doing the lateral release on my IT band, scrapped some build up, and then put my knee back together. I was in the hospital for 3 days after my surgery, because I couldnt move my leg at all and the pain wouldnt subside. I had PT for 5 months, which didnt seem to help. My problem now, is that my kneecap was pulled out for so long, it seems to have made its own “groove”, and now that its back to original location, it feels like its slopping between the two. My knee/cap clicks/sticks everytime I walk, bend up or down, or even move it with no load on it. Because im favouring this knee from getting worse, and more painful…Ive been walking more and weighting my right knee, which is now starting to get more and more painful everyday. I do wear a knee brace and use tiger balm, but this only helps temporarily. Im just reading over these and figured id give my input on the surgery, and again I wouldnt have had it done, had i known this was going to be my outcome.